The picture below has two identical dolphins in it. It was used in a case study on stress levels at St. Mary’s Hospital in St Louis, Missouri. Look at both dolphins jumping out of the water. The dolphins are identical. 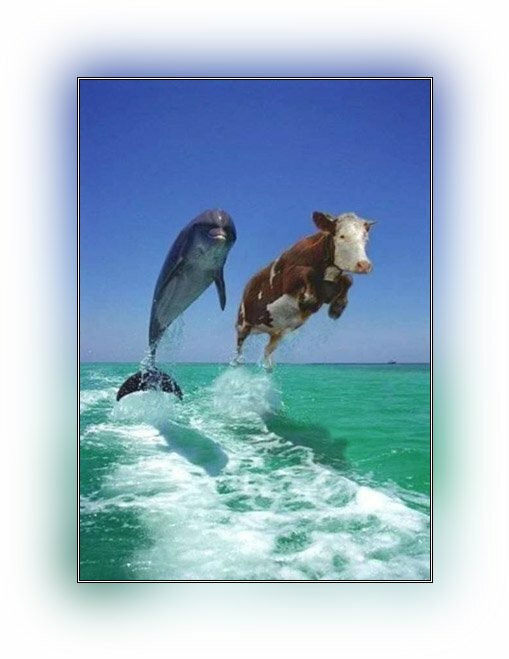 A closely monitored scientific study revealed that, in spite of the fact that the dolphins are identical, a person under stress would find differences in the two dolphins. The more differences a person finds between the dolphins, the more stress that person is experiencing. Look at the photograph and if you find more than one or two differences you need to go on a vacation.